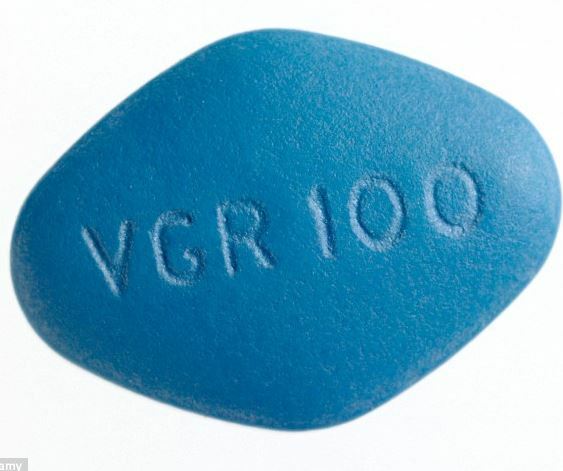 As traders age, all eventually reach a point in their careers of dysfunction, where they cannot preform, very similar to the effects of erectile dysfunction, or E.D. They watch others ride stocks higher as the Dow soars to 21,000; and feel left out somehow. But it is not necessarily a permanent condition. While all traders will eventually feel inadequate at some point, surviving through that inadequacy eventually makes them more potent than those who have yet to suffer the same experiences in the market. It’s not easy getting back into the market after one has suffered from dysfunction. It’s intimidating; and there is an unwritten rule to perform. For many, that just drives traders to give up hope and quit trading altogether. However, there is hope for traders willing to seek it. Like any pursuit, be it E.D. or trading dysfunction, there are sharks just willing to hawk their advice for a fee, and many times the advice or products they offer are of no value whatsoever. Perhaps the best way to overcome trading dysfunction is to start small. Take some small trades without regard for feeling they are inadequate. Base them on back-tested principles. Not every trade will pay off, but those that do will result in a feeling of confidence. Once confidence returns, larger trades can be initiated, and trading dysfunction can fade away. A big hurdle for all traders is that they say “Every time I buy a stock, the price immediately drops, and as soon as I sell it. the price rises”. Well… why is that? It’s a question all traders needs to ask themselves. “Did I buy at the wrong time?”, “Did I succumb to media hype?”. Then, the failure of the trade causes the trader to question his abilities and leads to a further lack of confidence; and the lack of confidence leads to an even further inability to initiate a good trade. Many traders end up turning to stock-market indicators to enhance their performance, and some end up getting the very performance they were seeking. But others try using everything from a simple moving average to a complicated Fibonacci retracement and it gets them nowhere. A failure after using enhancements can be devastating. If one can’t survive using the best enhancements available, there is bound to be a decrease in confidence; and the lack of confidence just snowballs into future endeavors, making it even more difficult to initiate a trade. 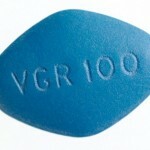 One can imagine the loss of confidence that would accompany an inability to perform after using the little blue pill. Trading is no different. There are plenty of indicators available these days, and all have their pros and cons. But there do exist some simple ones that may help give a trader back his confidence. Like all indicators, the S&P 500 Temperature isn’t perfect. But it does a fairly good job at telling a trader when to buy and when to sell – Buy when it’s above zero, sell when it’s above 250. It’s just a general guideline – not a rule; and it won’t work every time. But history has proven it to be a good strategy long enough that it has the ability to restore a trader’s confidence. Confidence can be boosted further by looking at the history of the Temperature. This can be done by charting several different kinds of options trades rather than just the Temperature itself. 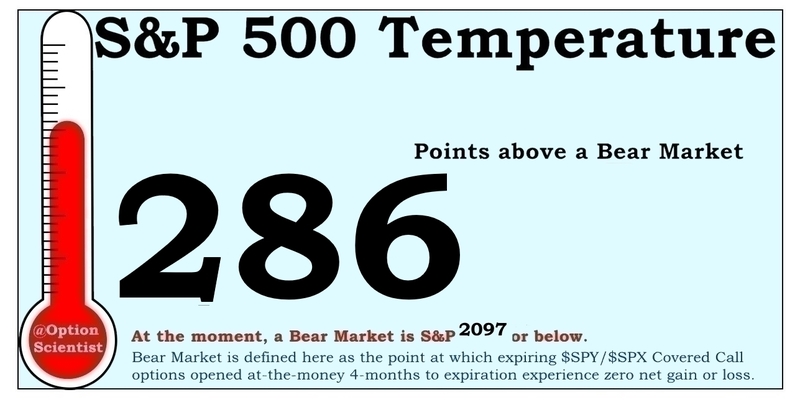 History shows that the upper limit of Lottery Fever tends to occur at an S&P Temperature of around 250. The upper limit of the green zone on the chart corresponds with a Temperature of about 250. Currently the S&P 500 is far above that level – something that has not happened in quite some time. Another method of evaluating whether it might be a good time to buy stocks is to look at the S&P 500 LSSI index, which measures the profitability of Long Straddle trades on a broad-based ETF (Exchange Traded Fund) such as the $SPY. Since Long Straddle options are the most expensive options available, their profitability often gives a signal of whether the stock market has become too stagnant (thus due for a breakout) or overextended, either too high or too low (thus due for a reversal). Stagnant markets don’t produce enough profits to overcome the premiums paid for a Long Straddle option trade; overly-wild price swings cause excessive profits that far exceed the premiums. At the current time the LSSI stands as 4.4%, which is far above normal. The implication of the S&P reaching such a level that would push the LSSI so high is that stocks are nearing a top, at least for the short term, and may be headed for a reversal of the recent uptrend, even if that reversal is temporary. 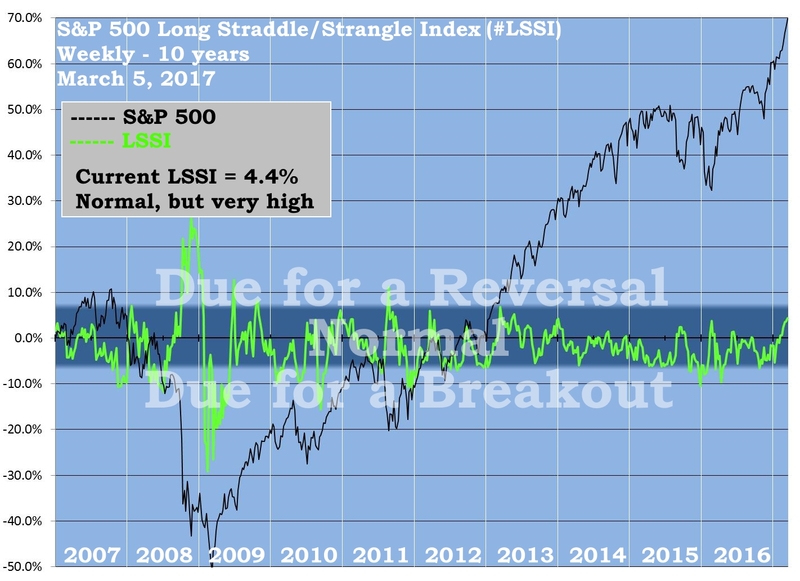 Typically any LSSI over 4% indicates a market that is overheated. But markets can remain overheated for weeks, sometimes months without a pullback, or they can cool off; there really is no way to predict. A trader who has lost confidence could easily lose whatever confidence remains by getting into the market when the LSSI is not normal, because stock prices can and do make extreme and often unforeseen moves when the LSSI is abnormal. Currently it is approaching an abnormal state. When it’s abnormal, trading stocks becomes more difficult. It’s much better for a trader needing a boost in confidence to wait for less difficult times. Yes, it’s difficult to avoid the lure of the market right now. It’s hot, hot, hot, and it’s making a lot of people rich. But to survive in the long run a trader also needs confidence. Without confidence a trader tends to sit on the sidelines and watch others reap rewards. Confidence comes from knowledge. While some traders may be able to go out and make a bundle in this market, those without confidence need to get their confidence back or else they will likely miss out. 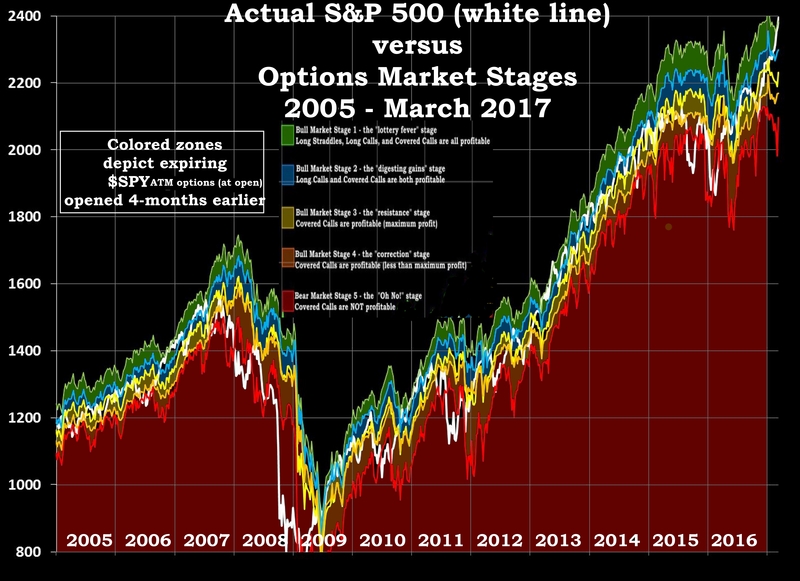 The S&P 500 Temperature and the Options Market Stages might be just what a trader needs to rebuild that confidence. The fact that the Temperature of the S&P is above 250, and that the LSSI is very high, doesn’t necessarily mean that now is a good time to be selling stocks, just that there has been a historical risk for pullbacks in stock prices when that Temperature has been reached in the past. For a trader needing to rebuild confidence, now might not be the best time to start buying. It’s certainly possible that stock prices could continue to rise and the S&P Temperature will rise to record levels. But as a local meteorologist once said he was taught in college,”Never forecast a record high temperature!”. It is better to stick to statistical models and be confident in them than to step out a limb and potentially fail. Even if stepping out on a limb results in a win, it does little to boost confidence; and in trading, confidence is everything!